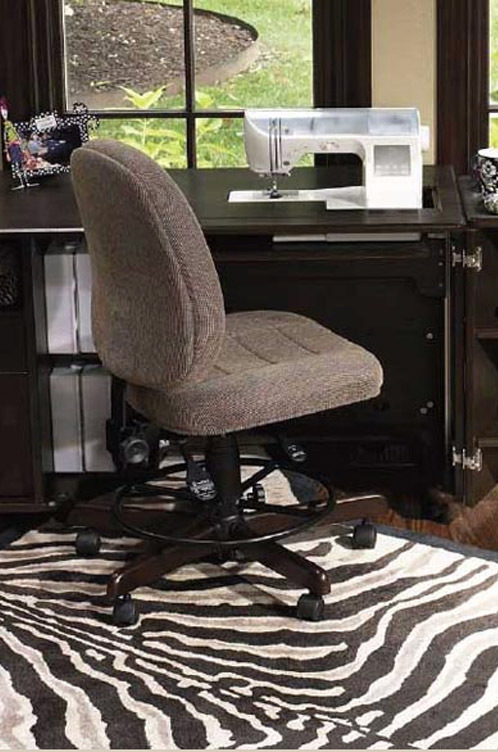 We proudly sell and display Koala Sewing Studios in our stores. These are the finest cabinets made in the industry and we’re proud to say they are made in the USA. The Studios offer a beautiful selection of wood grains and styles any sewer would love. They come in a variety of sizes and heights to allow the maximum use of your space with the greatest convenience. 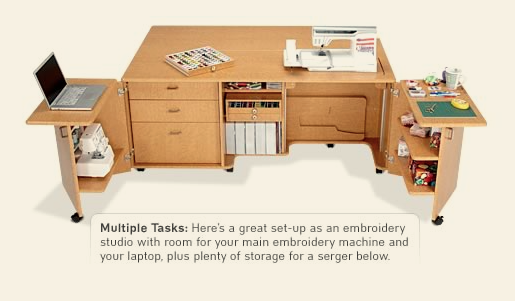 They are delivered right to your sewing room with their “White Glove” delivery service so all you have to do is enjoy! We can help you plan your room and select your cabinets with our in-store planners – just bring the dimensions of your space.